Regional agriculture leader joins New England farmland access organization. Cris Coffin, a leader in agriculture and farmland protection programs and policies, has joined Land For Good (LFG) as its first Policy Director. 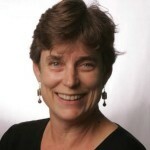 Cris has been a long-time collaborator with LFG while serving as the New England Director of American Farmland Trust (AFT) from 2001 to 2015. At AFT she played a key role in building public and political support for state farmland protection programs and policies, helping communities plan proactively for agriculture, and forging multi-state and multi-sector coalitions to address regional food system challenges. Cris and AFT have been long-time collaborators of LFG on several projects in the region, from research and training to partnering on community-based initiatives. A regional Land Access Policy Project involving LFG, AFT and the Conservation Law Foundation (CLF) is currently entering its second year with support from The John Merck Fund. And the Gaining Insights project led by AFT recently released new findings about senior and beginning farmers in New England and New York, based on USDA Ag Census Data and farmer focus groups (LINK). A lawyer by training, Cris previously served in a variety of positions in the United States Senate including: Legislative Assistant to Senator Jim Sasser; Professional Staff Member on the Senate Committee on Agriculture, Nutrition and Forestry, specializing in conservation and forestry issues; and Legislative Assistant and Chief of Staff to Senator Herb Kohl. Cris has also served as consultant to both the Vermont and Wisconsin Departments of Agriculture. She holds a B.A. in geography from the University of Massachusetts-Amherst and a J.D. from Georgetown University Law Center. She resides in western Massachusetts where she is a part-time farmer and member of her town’s Agricultural Commission. Cris also serves on the Advisory Council of Farm to Institution New England (FINE). LFG is a New England-wide, not-for-profit organization, and one of a few nationally that specialize in farmland access, tenure and transfer. Its programs consult, educate, innovate, and advocate to transform how farmers get on to, hold, and transfer farmland throughout New England and beyond.